Located in southern France on the Mediterranean coast, Nice is a popular beach resort on the French Riviera or Côte d'Azur. It lies between Marseille and Genoa and has an old charm which mixes with the cosmopolitan feel to provide the perfect combination. It developed into a popular tourist destination in the 19th century and wealthy people from all over Europe started coming to the city. 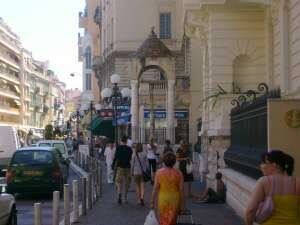 Nice is renowned for its vibrant seafront promenades. The city is a haven of culture, with many museums, bustling street cafes, a vibrant nightlife and lively festivals the whole year round. Nice is a beautiful and elegant city where tourism plays the most important role in the local economy. The airport at Nice is the second largest in France and there is a vast array of hotels for visitors to choose from.